Chantal Miyagishima is the purple hair, sailor mouthed knitter and designer behind Knitatude. When Chantal is not designing, she's working full time in TV and Radio advertising, blogging, or helping run Maker Strong – a collective to help fibre enthusiasts kill it in owning their own businesses. She's so glad she picked up knitting 5 years ago - it's made her who she is today! Hello! My name is Chantal and I’m the purple hair, sailor mouthed knitter and designer behind Knitatude. So my questions today is: Are you knitting incorrectly? Many people don’t even realize that they’re knitting incorrectly until someone points it out. It’s a subtle (but big) difference that even seasoned knitters can be make. 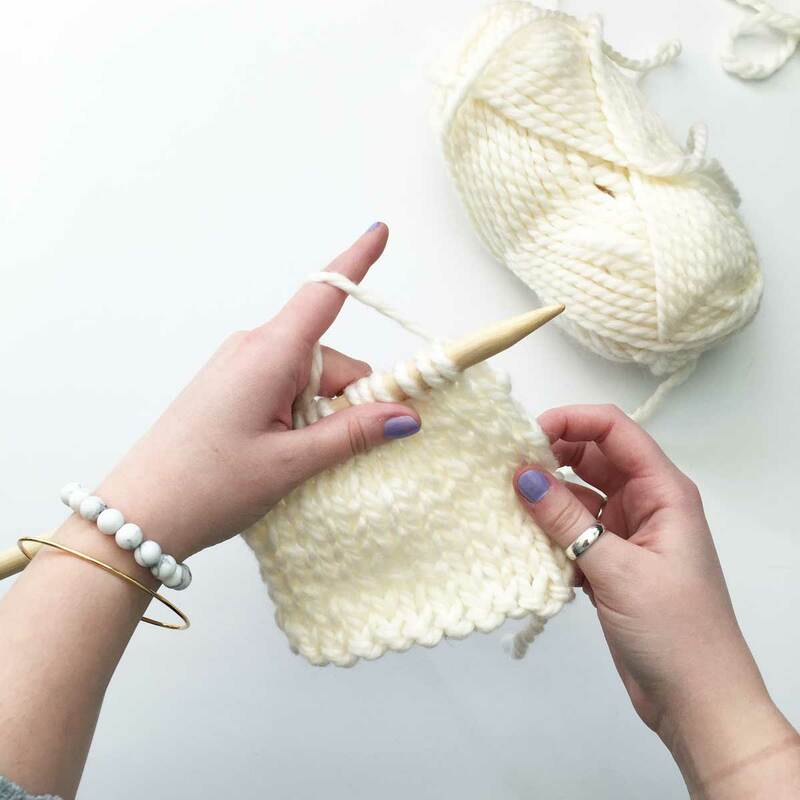 I will come clean and say “I have never crocheted before”, but I’m seeing the same mistake happening over and over again when I see crocheters taking the leap to knitting and that error is: Twisting your stitches. 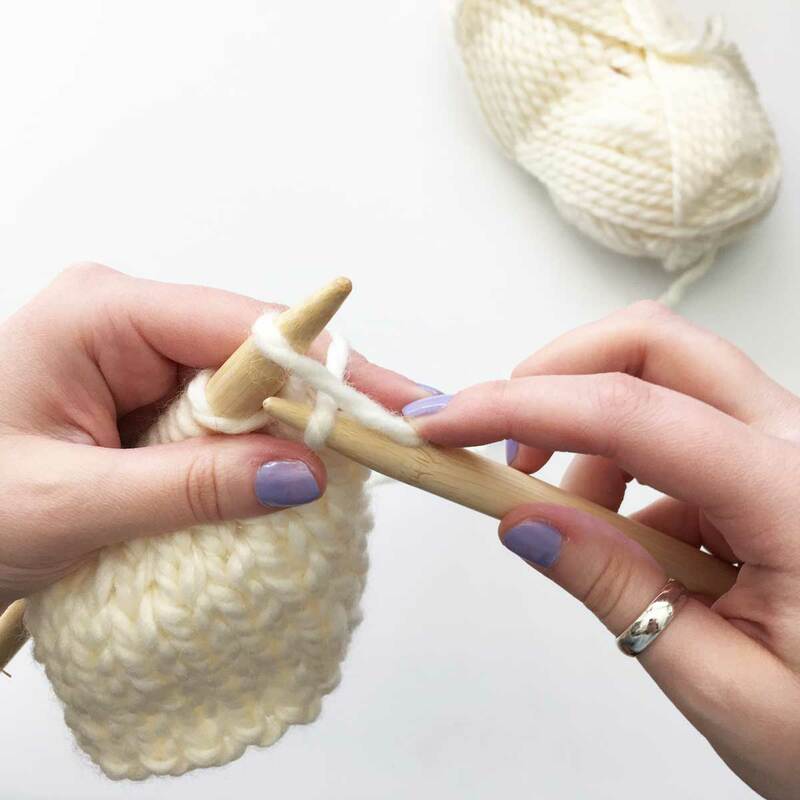 It’s a simple woopsie that can be easily fixed, but it can drastically change the look of your piece overall, as well as make it difficult for you on your knitting journey. 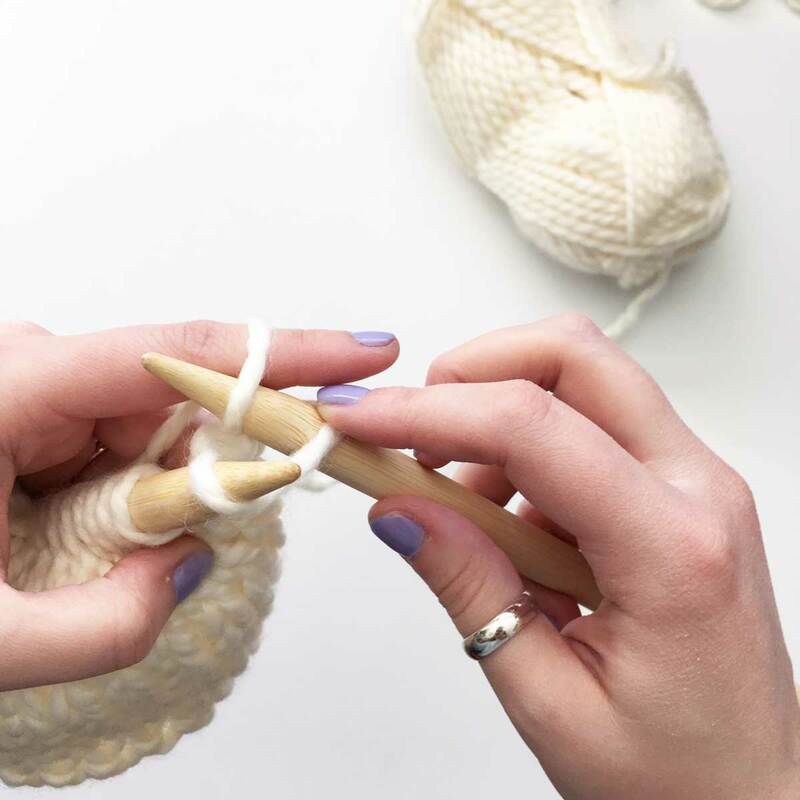 It all comes down to how you’re wrapping the yarn, as well as which hole you’re going through. There are two styles of knitting: Continental and English. 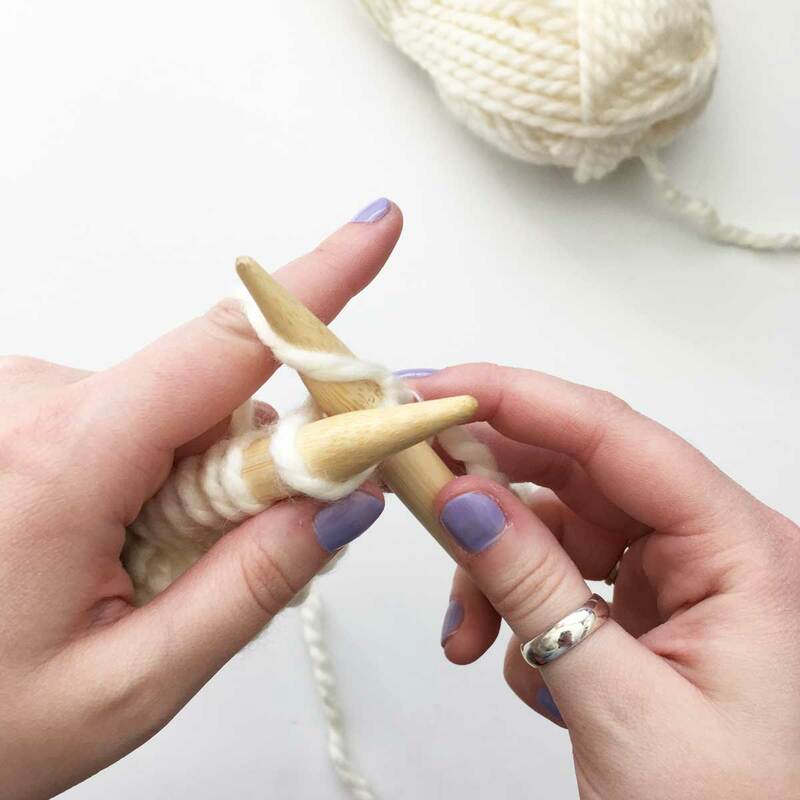 English style is the most commonly used style for knitting where your yarn is held in your right hand and then thrown like a lasso. Note: You can still get twisted stitches in English if you’re not wrapping correctly, or are going through the back loop by accident. Since a majority of you are crocheters making the switch, I wanted to create a continental knitting tutorial so it’s easier for you to manage. 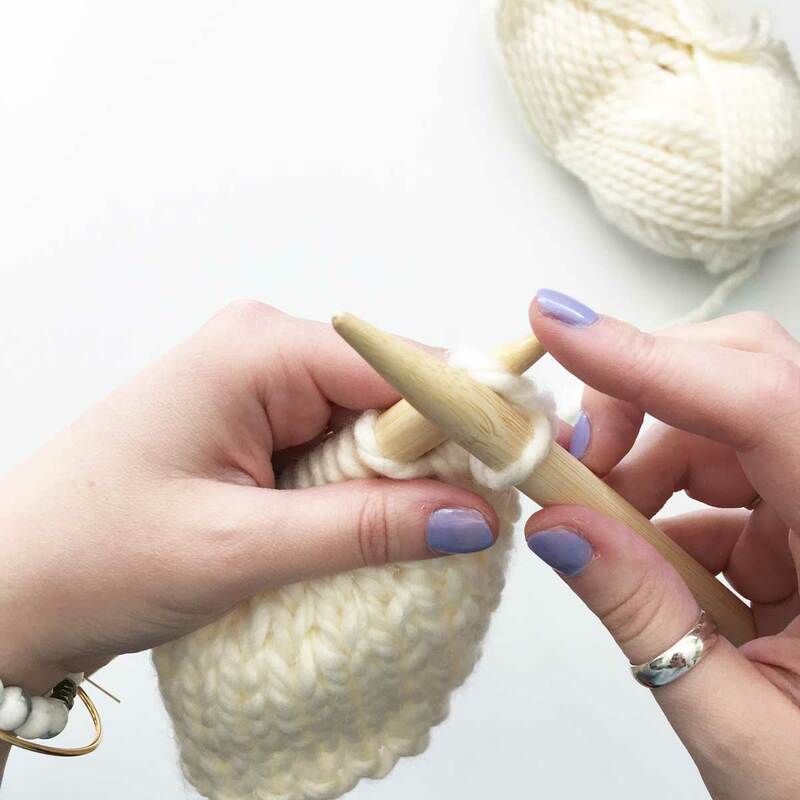 This means you will hold the yarn in your left hand – like most crocheters already do. When I first learned how to knit continental last year (after knitting English style for 4 years) it was a whole new experience for me. I’m not accustomed to holding the yarn in my left, probably unlike you, so learning the technique was kind of a pain – no lie. Let’s take a look at what stitches look like. Below on the left is a regular knit stitch (1). It kind of looks like a little “lulu Lemon” symbol. The stitch on the right is a twisted stitch (2). 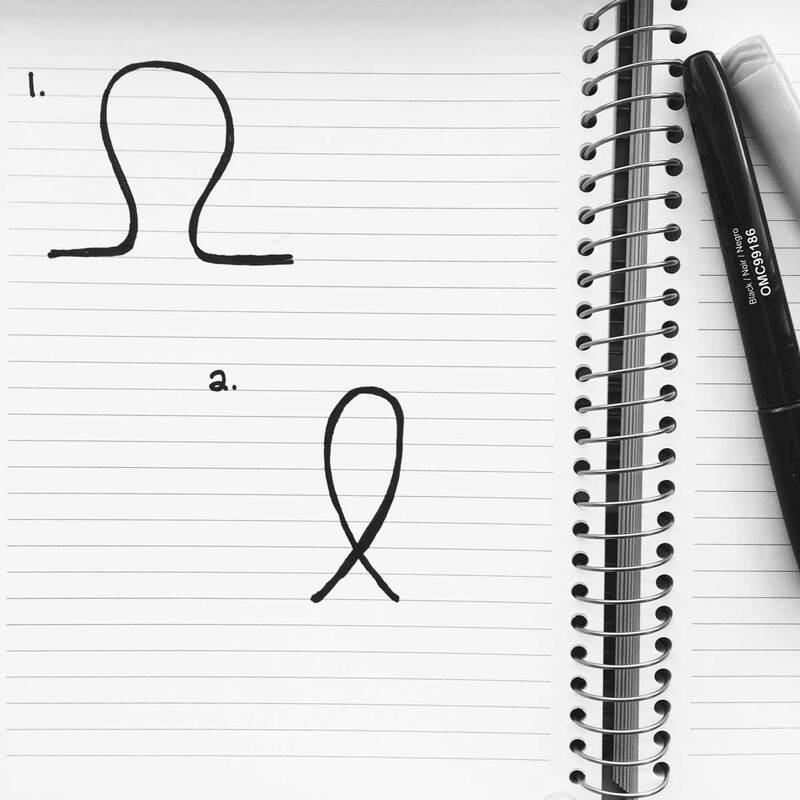 They look like awareness ribbons . You’ll notice that the stitch on the left is open, but the twisted stitch on the right crosses and slants in the front from right to left. That little cross will leave you just that way – cross. 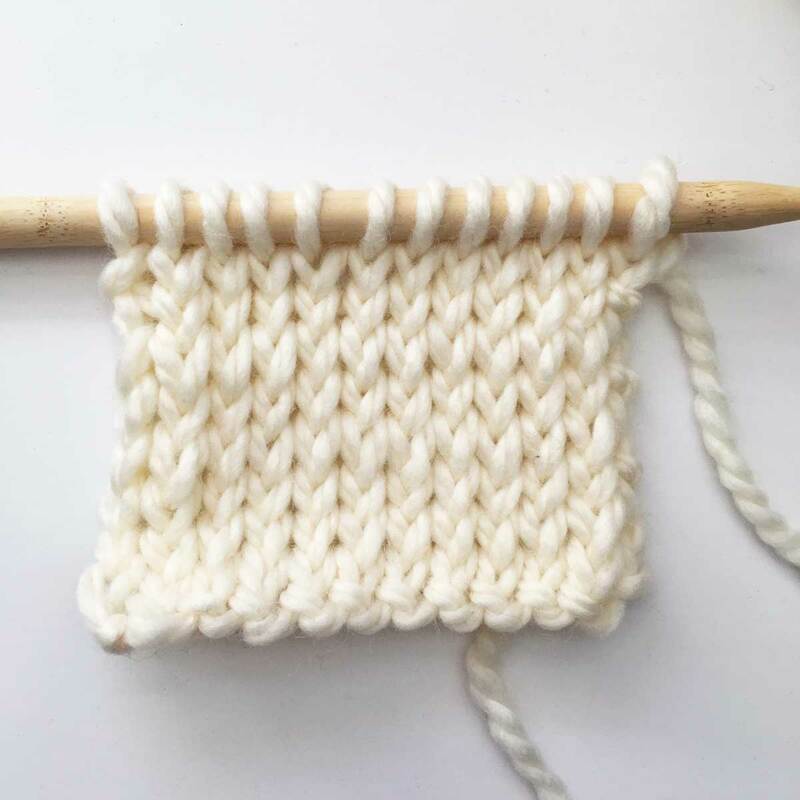 That little flip alone tightens the dickens out of your stitch and just like crochet, trying to fit a larger hook into a smaller hole is hard – same with knitting. By twisting it, you’ve made it even harder. If you imagine it, it’s the same original “girth” of the needle size, but the twisted stitch is cinched. Note: Certain patterns do call for twisted stitches and they are so cute (Prem Knits loves twisted stitches on her ribbing, same with the new “First Frost Beanie” by SereKnity Studio), but you’ll want to nail the right technique first. Shown on a larger scale (See below): The correct stockinette stitch on the left looks smooth and flat. The right photo looks bumpy instead. Those twisted stitches raise the yarn, popping it up and over, making the stitch not lie flat. So How Do You Get Twisted Stitches? Twisted stitches are achieved either by knitting through the back loop, or you’re wrapping the yarn clockwise instead of counter clockwise. Set up: Your yarn is in your left hand pointer finger, pulling across in “between” your two needles. Insert the needle to the left of the first front stitch. Your left pointer finger is raised to pull the yarn taunt to the left. 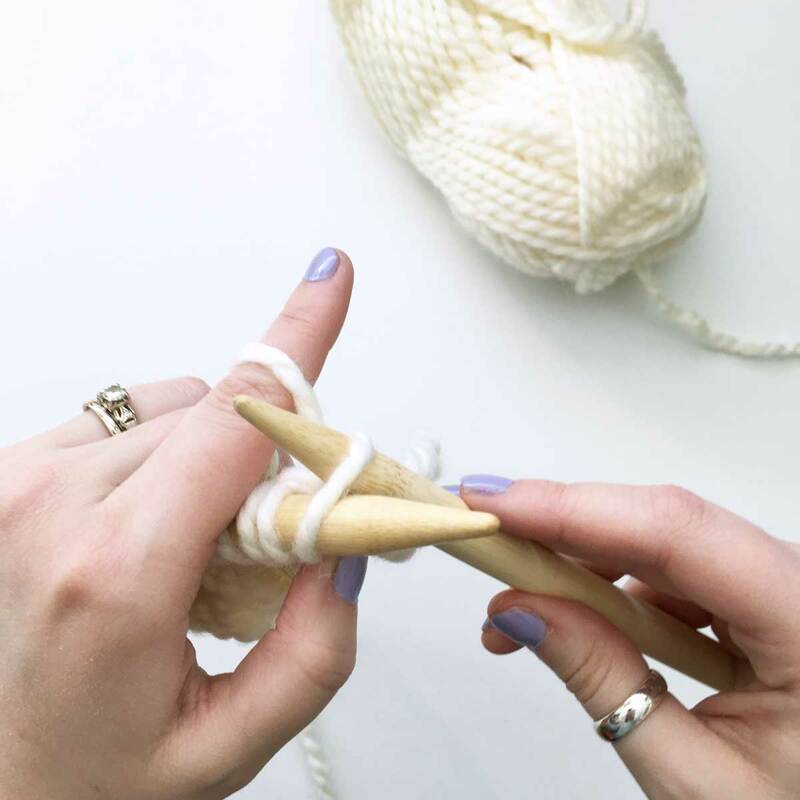 Take the yarn and wrap it COUNTER CLOCKWISE around the needle – so pull the yarn in front of your right needle from left to right. I like to imagine 12, 11, 10, 9, 8… on a clock as I go. As pictured on the right, that yarn is slanting to the RIGHT. Take your right needle tip and pull it down and UNDER the stitch you originally inserted under. Kick/pull that stitch that is situated on the right of your right needle off the left needle tip. You’re done one stitch! Now do it a billion times. 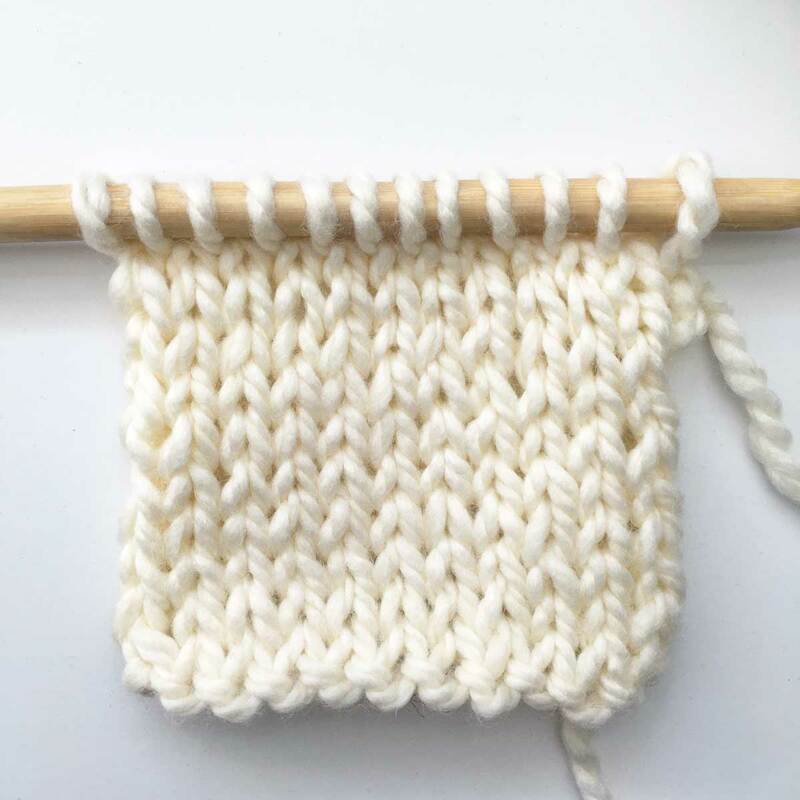 Do not knit into the back loop – or the “left hand” side of the stitch, and do not wrap clockwise. 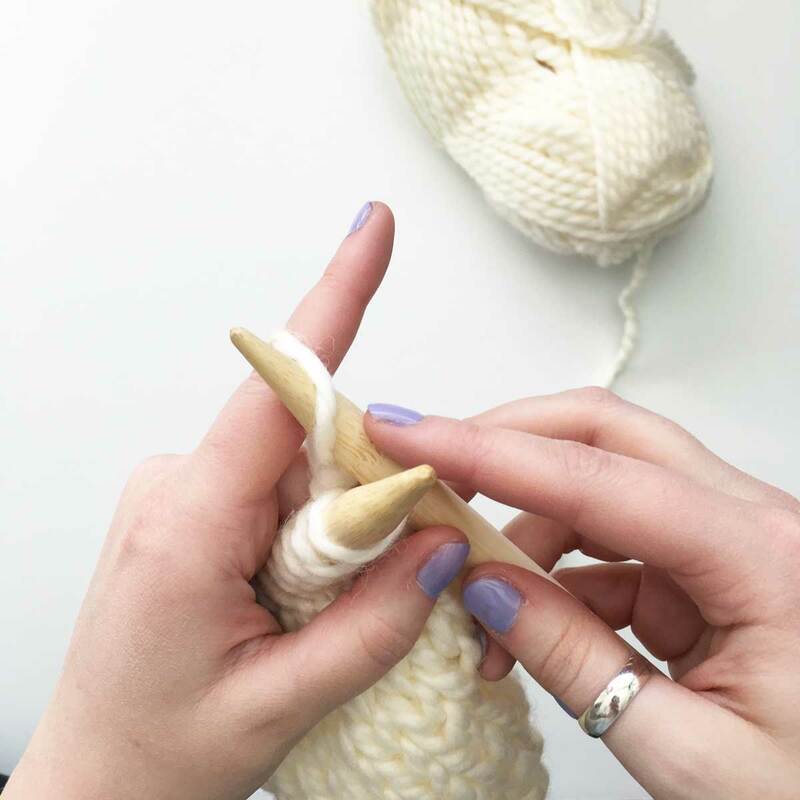 If you do these things, it will pull your stitch the wrong way – producing a twisted stitch. This is much tighter to knit into in the next row. Have any questions? 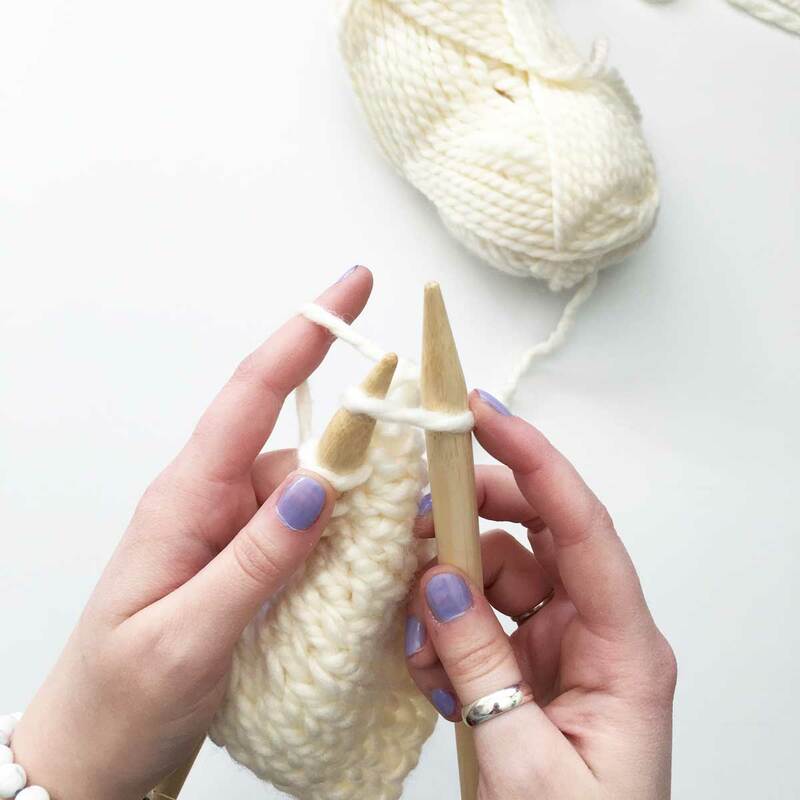 Have you been accidentally knitting or purling incorrectly and didn’t even know it? Comment below and I would love to hear about it!